Call of Duty: Modern Warfare 3 is the biggest entertainment launch ever, according to Activision, with the the games company managing to shift 6.5 million copies of the first person shooter and make $400 million in the first 24 hours of release – and that's just in the UK and US. The launch has smashed through a record that was previously held by Call of Duty: Black Ops and before this, you've guessed it, Call of Duty: Modern Warfare 2. Other records broken include the number of people on Xbox Live at any one time, which happened because everyone was playing Modern Warfare 3. Bobby Kotick, CEO, Activision Blizzard, said about the launch: "We believe the launch of Call of Duty: Modern Warfare 3 is the biggest entertainment launch of all time in any medium, and we achieved this record with sales from only two territories. "Other than Call of Duty, there has never been another entertainment franchise that has set opening day records three years in a row. "Life-to-date sales for the Call of Duty franchise exceed worldwide theatrical box office for Star Wars and Lord of the Rings, two of the most successful entertainment franchises of all time." 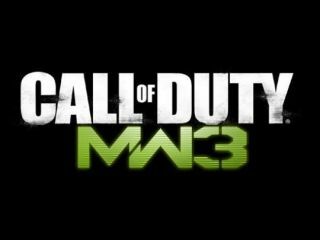 Call of Duty: Modern Warfare 3 reviews have been nothing short of glowing with CVG giving the game 9 out of 10.